The OCP changes the definition of marriage to “two adults” or qualified as “traditionally understood as a union of one man and one woman.” According to the Judicial Council (decision 1185), these definitions bind the church in its universal understanding of marriage and are not adaptable by central conferences outside the U.S. Our brothers and sisters outside the U.S. would be forced to live by and defend marriage as a union of two undefined adults. It is also unclear whether it is constitutional to allow different annual conferences to have different standards for ordained ministry – so can the central conferences really adapt the requirements of the Discipline to their own context? Since our beginning, Renew Network has sought to encourage women to know Christ and to make Him known through various outreach programs. As John Wesley told Thomas Coke when he departed for the American colonies, “Offer them Christ.” That mandate is just as true and important today as it was in the late 1700s. Unless we ourselves are transformed and have a deep relationship with Christ, how can we hope to further the Mission of the UMC to make disciples and transform the world? We cannot give what we ourselves do not have. The world does not need more of the world and its secular agendas. The world needs the transforming power of the Savior. As Renew Network members, we need to keep these things in mind as we prepare for the 2016 General Conference in Portland, Oregon the second week in May. Whether you will be in Portland or at home, I encourage you to pray for Renew and the rest of the Renewal Coalition. Several crises will be addressed at this GC. In this update, I will address the crisis of declining membership and equitable representation as it relates to the women of the church. In 1973, the then Deputy General Secretary of the Women’s Division, Theressa Hoover in her article in Response magazine claimed that the United Methodist Women were a million and a half strong in the United States. As recently as 2003 when then Deputy General Secretary, Joyce Sohl gave her farewell address to UMW, the United Methodist News Service unofficially reported that UMW was one million members strong. Actually, the official membership number for 2003 was 765,724. In 2012, UMW membership was 528,156 women for a loss of 237,568 over a ten year period. Furthermore, the independence granted to UMW at General Conference 2012 has not been able to stem the tide of membership decline. The latest statistics (2014) from the General Council on Finance and Administration are extraordinary numbers. In 2014, the United Methodist Church in the United States had around 7 million members, of which 4 million were women. There were 480,000 women in UMW units in the UMC, which means that for every woman who belonged to an official UMW unit in the local church, there were seven women who did not. Furthermore, the statistics show that since 2010 the UMW has lost 90,000 women and over 2,000 units/circles in local churches. There were 32,408 churches in the US in 2014. Less than half had UMW units. It is also important to note that some UMW women and groups in the local church are in name only. They do not use official program materials, the reading program and Bible studies developed by the New York UMW staff, and some do not support official mission giving. These women and units are nevertheless counted in the official numbers. When you consider those facts, the numbers from GFAC become even more sobering. In 2010 the bishops and Connectional Table of the church commissioned an outside research company to come up with a plan to help the church be more effective in its mission and change the path of membership decline. The report was called the Call to Action. It recommended effective practices and high-quality ministries for making disciples; it called for diversity and variety in the ways these practices and ministries are adapted in local contexts. 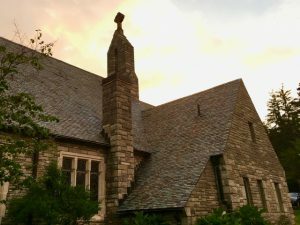 Even before the Call to Action, many of our local churches were following its suggestions for growth and offering vibrant and inspiring women’s ministry in addition to official UMW. In the UMC today, many women attend various Bible studies, ministry programs, prayer groups and participate in both local and global mission opportunities. New evangelical women’s voices have emerged. Indeed the recommendations of the Call to Action Project are being implemented in many local churches. Many women in the local church have the freedom to expand their ministries in hopes of not only stemming membership decline, but more importantly, with the goal of growing in Christ and offering Him to a hurting and confused world. But at the same time, there are some churches that feel bound by the Book of Discipline to only participate in officially sanctioned ministries. It is for this reason, that Renew has submitted to the 2016 General Conference two important pieces of legislation, a petition and a resolution calling for the church to recognize the reality in our local churches; that is: there are thriving vital alternative ministries to the official gender-specific ministries of UMW and UMM. This petition encourages supplemental ministry programs for women and men in addition to United Methodist Women and United Methodist Men. This resolution lifts up the importance of women’s ministry in the local church and encourages local churches to provide supplemental women’s ministry programs that fit the unique needs of women in each church. I encourage you to call and ask your delegates to General Conference to support these petitions for the sake of fulfilling the mission of this denomination. Please continue to pray for Renew, Good News and the entire Renewal Coalition. Most of all, please pray that our denomination will not abandon our biblical standards, will strengthen accountability, and will adopt the plans and measure the Lord would have us to adopt. In addition, please visit our Facebook page for the latest updates on denominational happenings. In addition, the Good News website will have daily updates during General Conference. On this site you will find many new resources that include the third lesson of the Mirrors Bible teaching by Jeannine Fogwell; A Call to Prayer also by Jeannine; and a devotional by BJ Funk, Remember, O Lord, Your Great Mercy and Love.